This is the last season Dawn will sit in the TDS Triple Play Club and watch her son pitch. Danny will graduate next year with a degree in marketing and to play for the Mallards you have to be enrolled in school. Dawn and Danny hope there’s a life in baseball for him once he graduates. 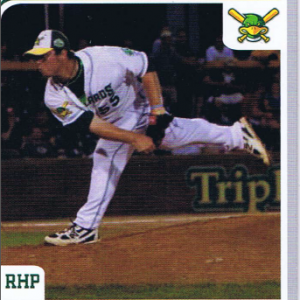 The next time you’re at a Mallards game you’ll have an added reason to root, root, root for the home team, number 55, Daniel Sullivan.